Here’s an idea one of the people I coach gave me. 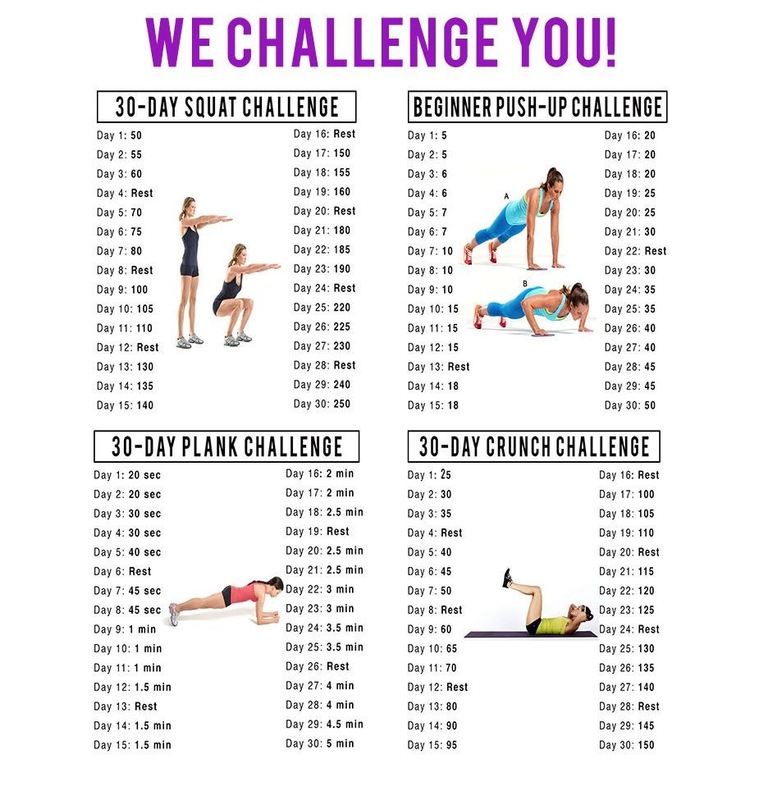 A 30 day squat, plank and push up challenge. It’ll clearly take more time as you go on, but it’ll be a good challenge. Ps: I missed out sit ups as I think there are much better things to do, and the three exercises above cover the full body. Iâll start off by apologizing for the remedial . Would you start off day one doing 1 of everything working up to 30 of everything by day 30 ? Hey. 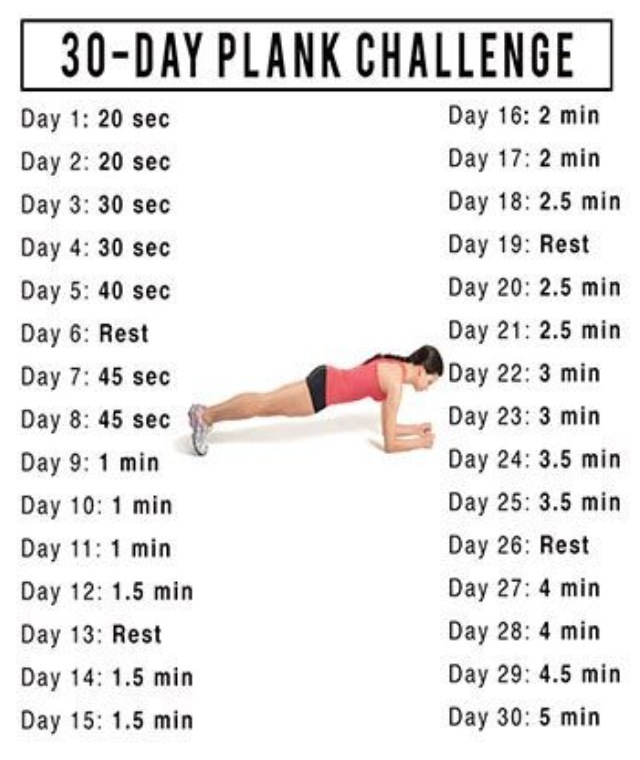 You follow what it says for each day, so day 1 of plank, 20 secs, day 2 and so on. You could do 10 secs and build it up or do 20 or 30 secs by doing 10 secs x 2 or 3. The main thing is to build up the time you do it. Never be afraid. We all started somewhere. 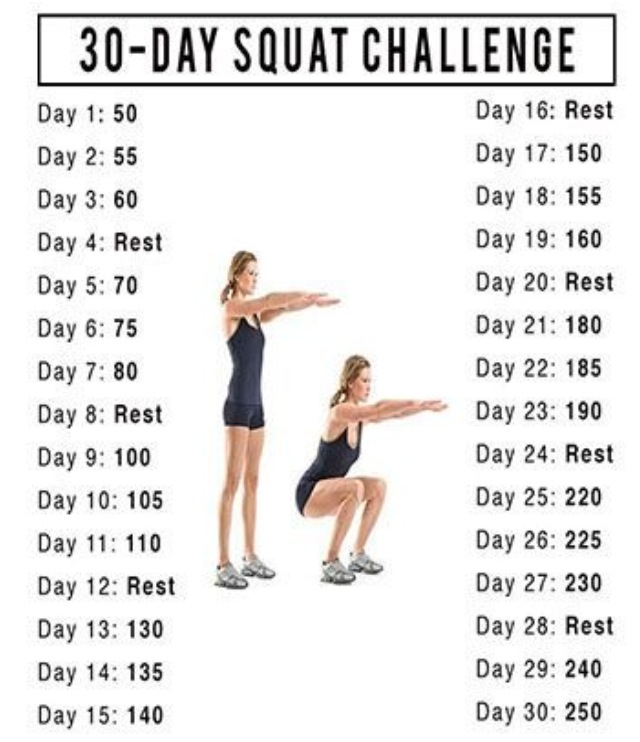 My squats I started in 5 reps and worked to 30. Never stop, but you have to start. 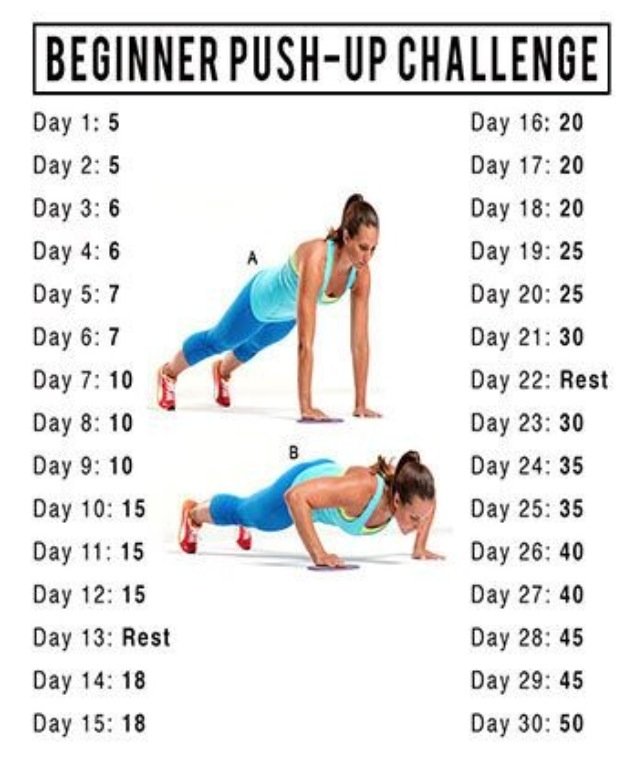 I am going to start this challenge tomorrow. I will do vlogging and see how it goes!